Casino Futuriti is offering an interesting alternative for all Novoline Slots lovers. Players from Austria as well as Switzerland can play Novoline Games (even if plagiarism), without limitations. Futuriti is the only casino that accepts players from almost all countries, except for from the Unites States and France. It is very popular amonst Novoline players and besides offers of Novoline Slots, it also holds a range of games by Igrosoft und Playson, two additional software providers that are also available on the mobile version. Generous bonus offers get you additional playing money. Futuriti customers praise the large variety of slot machines and especially the fast and easy withdrawals. A mixture of various games from three different software providers as well as a recommended casino result in great player experience. For those Novoline games lovers, tournaments are also available – another reason to join the Futuriti casino. Even though Futuriti has stopped their standard promotion of €100 Free, our players, and our players only, can still benefit from this great offer. This promotion is only available through us and welcomes the players to a nice start into the casino. Like this you are given the opportunity to firstly test the casino, without using your own money. Futuriti offers a real alternative for players from Austria and Switzerland as in some of the other Novoline casinos they are not able to play. What we do need to mention is the fact that no original Novoline games can be found here that are licensed by Greentube, but rather plagiarism, own developments. The simple reason behind it is that Futuriti is not licensed in Malta – a must for Greentube games. This however doesn’t mean that the games are any worse. Great bonus offers and the fact that players from all over the world, except for from the United States and France, is what makes playing at this casino worth while. Many players are very satisfied and we are also happy to recommend this casino. Games by Igrosoft, Playson, Betsoft (3D Slots) and of course Novomatic can be played online at Futuriti Casino. The casino offers a mix of three different software providers, which makes a large selection of various online slot machines in the game lobby. To avoid you missing any of your favourite games when on the road, Futuriti offers a large number of their games on the mobile version. 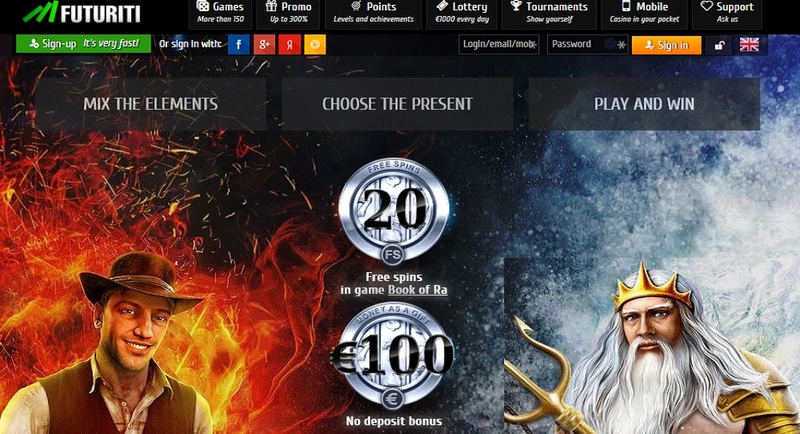 Another Novoline casino besides Stargames that enables players to enjoy Novoline games anytime, anywhere. Futuriti offers the most popular payment methods online whilst staying safe and secure. The casino can also be listed amongst the operators with very fast payout rates. As soon as the player has been verified, he receives his money in within a few hours. This is a great advantage for players and a reason why they love it. The customer support is currently only available in English, but should soon also be available in German.